Viareggio is a seaside resort that attracted visitors yet in the 12th century and was very popular among the European travellers. Visitors from the EU countries are still the majority of the tourists who visit this place. However, year after year the number of tourists from other countries increases as well, making Viareggio more popular globally. 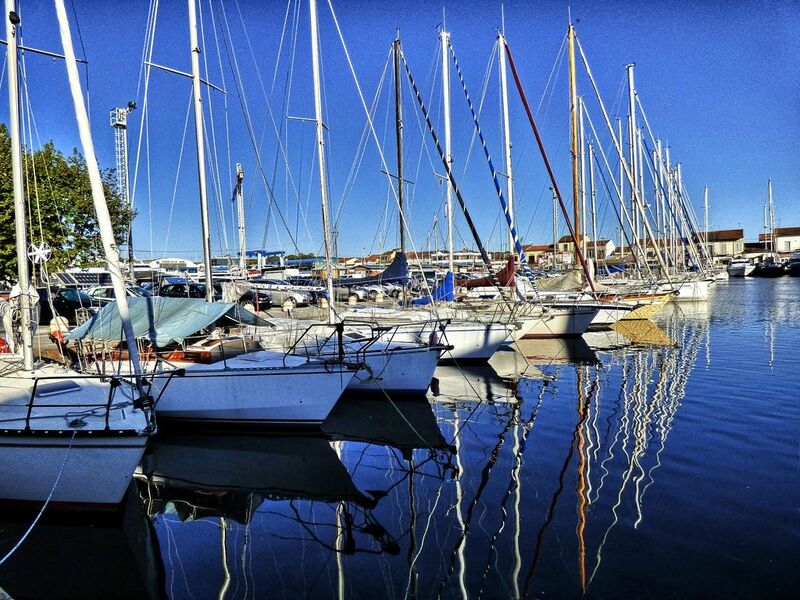 Initially Viareggio had the status of a port city; today this is the largest center of shipbuilding in the country. 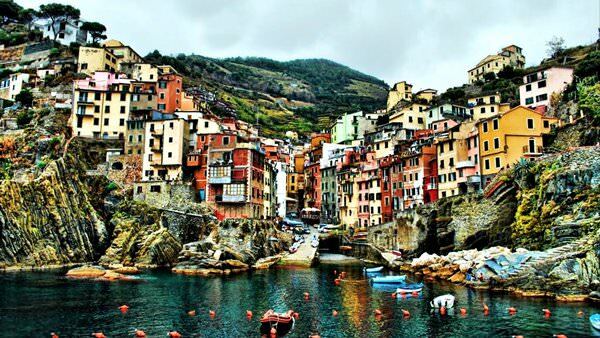 Guests of the city are offered to visit a large number of places of interest, excursions and other routes. Moreover, the city has been chosen as a home place to the Annual Italian Carnival. Attending this miraculous celebration is a true adventure. 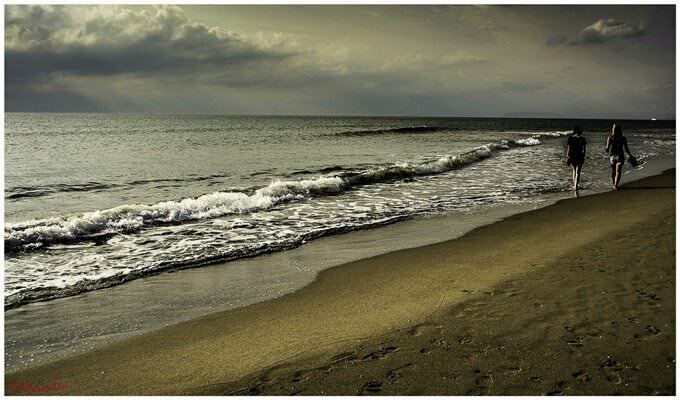 For several days Viareggio dives into an atmosphere of celebration. You can hear music playing from elsewhere and see local people and tourists enjoying holiday meals and dancing right on the streets of the city. When tight excursion schedule becomes a little tiring, it’s time to make a pause and have some trouble-free rest on a beach, visit multiple restaurants or walk on shadowy streets of the city. Guests of the city are traditionally amazed by the large number of ancient churches that can be seen during your walk in Viareggio. Actually, there are over a hundred of churches in this city. 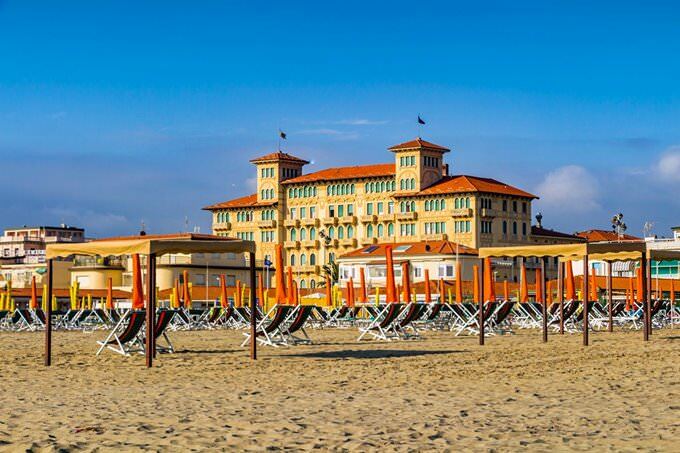 Viareggio will be a perfect place for family rest. All you need to do is to select the type of entertainments and enjoy wonderful nature, mild climate and beauty of this fantastic old city. One of the busiest places in the city is the embankment. Its length is more than three kilometers. Here you can see a series of beautiful historical buildings. During the Second World War, this area of ​​the city suffered the least. 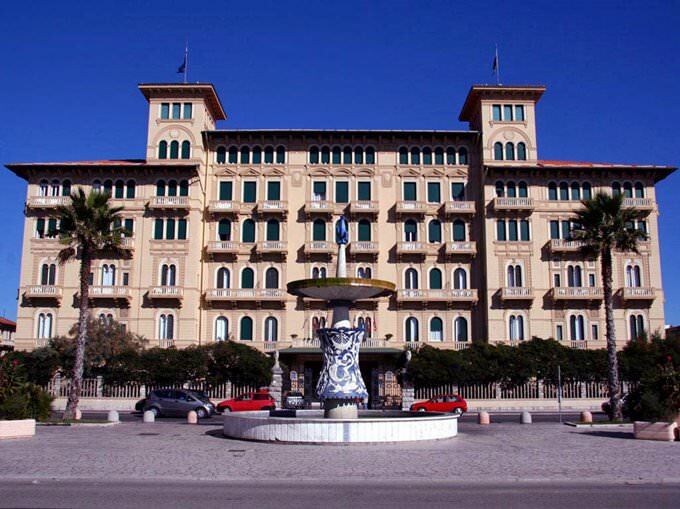 Now in many luxury buildings with history are located prestigious hotels and restaurants. Also, there is a large selection of shops on the waterfront. 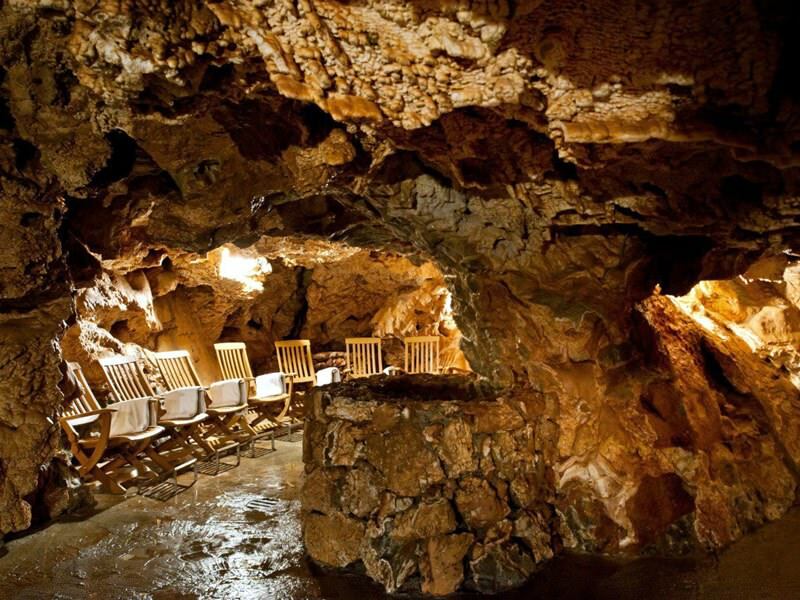 One of the most unusual attractions is the ancient marble quarries, whose development began in the Roman era. Here they extracted valuable marble, which was used for finishing the most luxurious buildings. The reserves of marble in these places are among the largest in the world. Even now, the production does not stop. This landmark became available for tourists, relatively recently. Near the quarry, researchers were able to discover many interesting archaeological artifacts. Among the historical attractions of Viareggio, it is worth noting Villa Bourbon. It is considered to be one of the most beautiful architectural masterpieces of the city. A few years ago, this luxurious villa with an interesting interior decoration was converted into an art museum. Now it regularly hosts exhibitions of famous young painters. Another interesting feature of the elegant mansion is the surrounding extensive garden. A walk through it will give a lot of unforgettable impressions. Family holidays with kids in Viareggio. How to entertain your child, things to show to children. The medieval Mathilde’s Tower, which was built in 1534, remains the permanent historical symbol of the city. According to available historical data, earlier on the site of this tower was a large castle. However, in the Middle Ages it was already in ruins. The medieval tower was built from the wreckage of this castle. For many years, it was the main defensive structure in the city. In the 19th century, this tower housed a prison, and today in the building of the medieval tower, exhibitions and other cultural events are often held. One of the most beautiful places in Viareggio is the historical park Pineta Di Ponente. The park was founded in 1747, and was supposed to protect the city from the cold sea wind. For hundreds of years, the charm of the park has only increased. On its territory, there is a beautiful artificial pond with local swans. In the warm season, the park is always adorned with luxurious landscapes. This guide to iconic landmarks and sights of Viareggio is protected by the copyright law. You can re-publish this content with mandatory attribution: direct and active hyperlink to www.orangesmile.com. Check on the map: Distance from Viareggio center - 48 km. Check on the map: Distance from Viareggio center - 46.6 km. All about Viareggio, Italy - sightseeings, attractions, touristic spots, architecture, history, culture and cuisine. 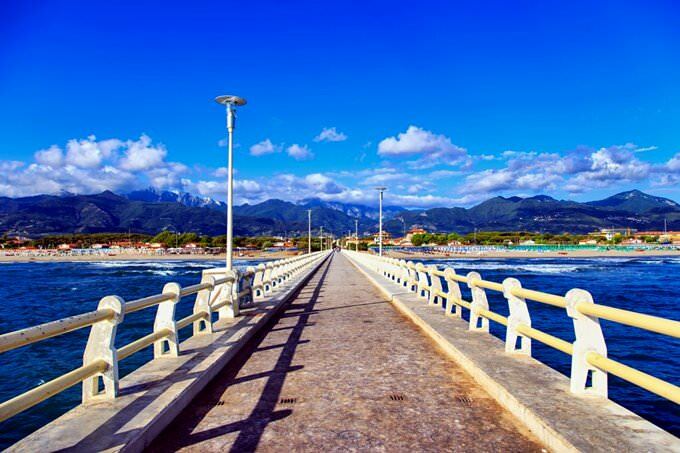 Prepare your trip together with OrangeSmile.com - find out the 'must see' things in Viareggio, which places to visit, which excursions to take, where the breathtaking views are waiting for you. Planning your trip with this travel guide will help your to get the most out of Viareggio in few days.